The first of the 2 Pléiades satellites is set to be orbited on 16 December by a Soyuz launcher from the Guiana Space Centre, ushering in a new generation of Earth imagery to add to the existing panoply. 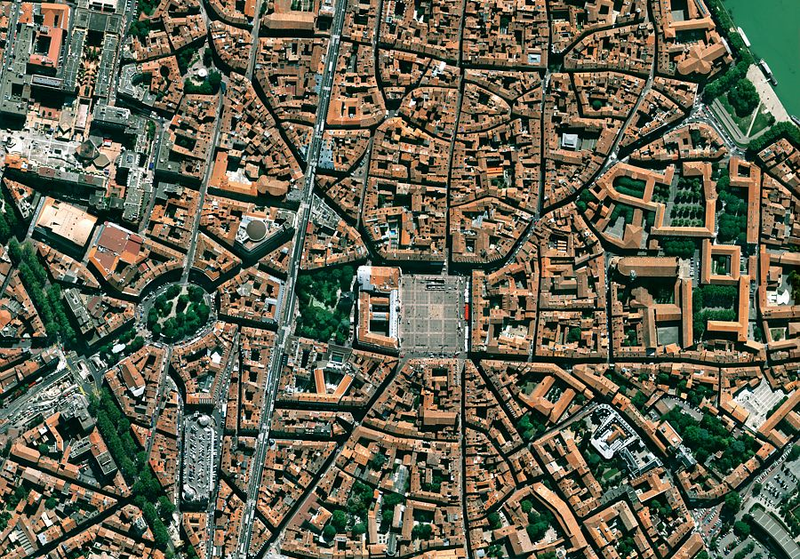 Simulated Pléiades imagery of the city of Toulouse. Credits: CNES. Ever since the first SPOT imagery was acquired in 1986, satellite images of Earth have provided an unparalleled source of information for monitoring human activities and managing our planet’s resources. But to make our observations of the globe even more effective, we needed to view it in more detail. That is the goal of the 2 satellites in the Pléiades system that will be able to resolve features as small as one metre, compared to 2.5 metres with SPOT 5 at present. However, the trade-off for achieving better resolution is a narrower field of view. Whereas SPOT 5 covers areas of 60 to 120 km across, Pléiades will only cover 20 km at nadir. The first Pléaides satellite, in orbit. Credits: EADS Astrium/Master Image Films. Another original feature of Pléiades is the sensitivity of the CCD detectors in its imaging instruments. This sensitivity makes it possible to shorten dwell times and therefore acquire more images, up to 450 per day, per satellite. Pléiades images will meet priority military requirements for the French and Spanish armed forces, and will also serve civil users. CNES is funding 90% of the project. 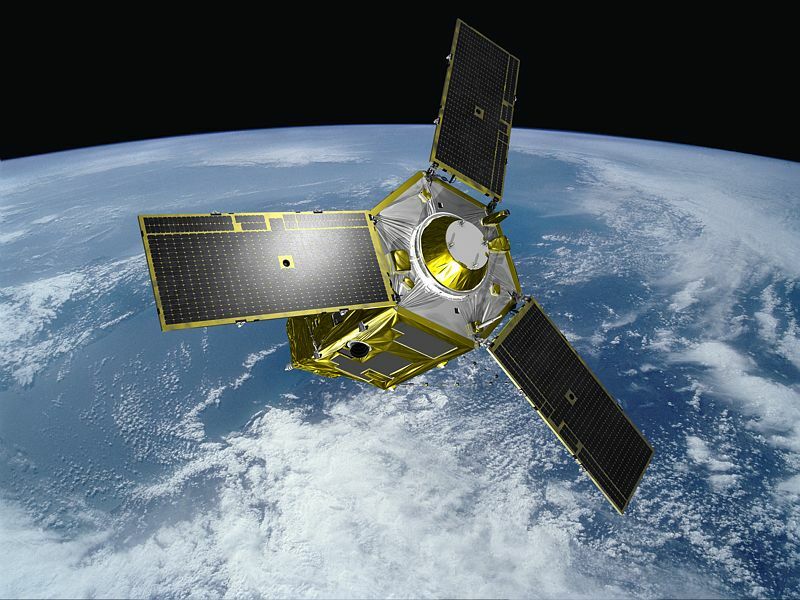 Its engineers in Toulouse will guide the 2 satellites into their operational orbit at an altitude of 694 km above Earth. Once the satellites are in orbit, the engineering teams will be responsible for establishing and uplinking daily work plans to meet tasking requests and for monitoring the satellites’ operational health. The first of the 2 satellites is set to be orbited during the night of 16 to 17 December by a Soyuz launcher from the Guiana Space Centre. It will be accompanied on the same flight by 4 ELISA military microsatellites, also developed by CNES, and a Chilean Earth-observation microsatellite developed by Astrium.